Update: Ferrari P80/C has been revealed. Read more about it here. Is Ferrari building the first LaFerrari-based one-off in the form of the “Prototipo”? Ferrari is set to unveil a new one-off supercar on March 25, 2019. An image released by the company suggests that the car could be called the Prototipo. According to a FerrariChat member, the one-off has been specially created for @mr_tk and could be delivered by Blackbird Concessionaries in Hong Kong. 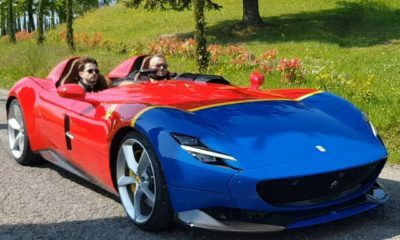 Now, not much is known about Ferrari’s latest Special Project. However, rumours suggest that it could be based on the LaFerrari, making it the first one-off based on the hypercar. 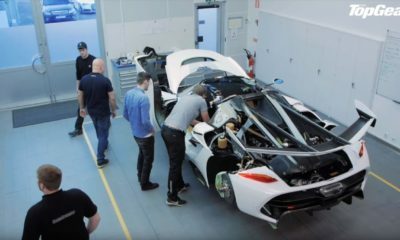 A couple of teaser images have also surfaced online, which reveal a carbon fiber strip on what appears to be the door panel of the car. The second image seems to be of the front clam shell. If it is indeed based on the LaFerrari, then it could feature the same 6.3-litre V12 engine combined with a hybrid system that delivers a combined output of 950 hp and 664 lb-ft of torque. The engine could be mated to a 7-speed dual-clutch transmission. Catch the unveiling live on Blackbird Concessionaries Facebook page at 3.00 pm CET.